We have been serving the wildwood area since the day we opened our doors. If you’re looking to throw away those builder grade doors and upgrade the look and value of your home or just need a tune up to quite your current system, please give us a call and let us serve you. Why are we so highly rated in the wildwood area? Corey contacted me right away to set the appointment, was very accommodating to my time, set a 2 hr window that he would arrive, was on time and completed the job quickly. He made additional recommendations for the future, but was not pushy. I will be using this company again in the future. I had not heard of the company before, but always look for the “A” rating on Angies list. I will recommend the company to others. It went very well. Cory made the doors work better than they ever have. He did point out on one of them where a bushing was wearing and eventually would go, but recommended to just let it go until that time and then probably replace the whole thing. At that point our best bet would be to replace the whole garage door opener as the life span of that opener will have been reached and/or exceeded. I thought this was very honest and considerate as he could have started pushing me to buy a new opener. I would recommend CGX to anyone needing help in this area. 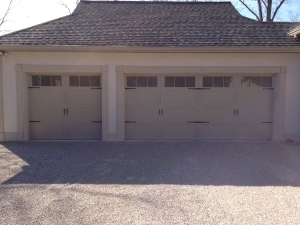 When it comes to garage door repair wildwood, give us a call today!